I love visiting what is linked up each week at I’m Lovin’ It! 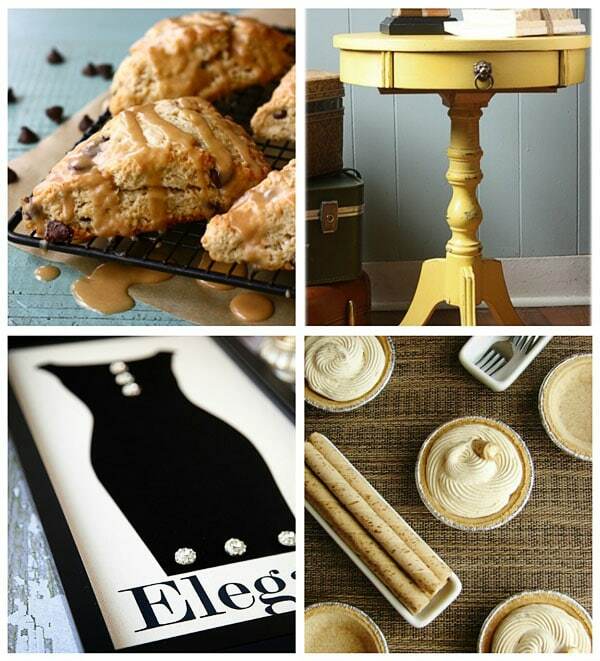 You all share amazing recipes to crafts, tips and diy and more! Here’s a few that caught my eye this week. 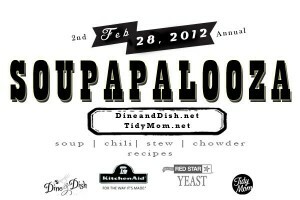 Reminder: Soupapalooza 2012 starts Tuesday Feb 28, 2012! 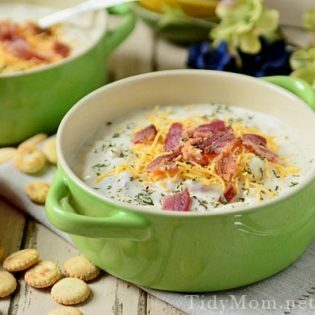 Click over to get more information how you can share your favorite soup, stew and chowder recipes and enter win some amazing prizes! I have my spoon and bowl ready! I can’t wait to see what you all stir up! I’m always so impressed by what you all do!! There’s still time to link up this week to I’m Lovin’ It — or just check out all of the other great projects, recipes and ideas that were shared! I am in LOVE with that yellow table! You always feature the best! Thank you so much for featuring my St Pats Hats! So many fun things, I really loved the rainbow cake pops. That no-sew ruffle tote is perfect for me, since I don’t sew. Love it! Cheryl, you’ve made my night. Thanks so much for the feature!! Can’t wait for Soupapalooza next week!! 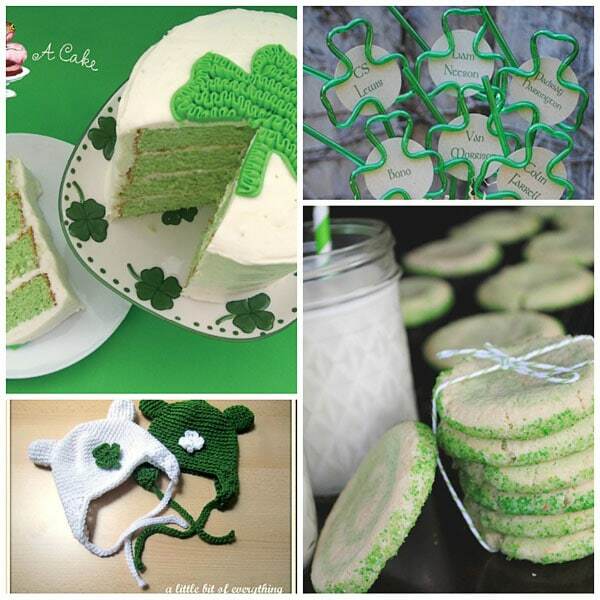 Another wonderful round-up and so many great ideas for St. Paddy’s Day! Have a great week. Everything is so bright and springy! 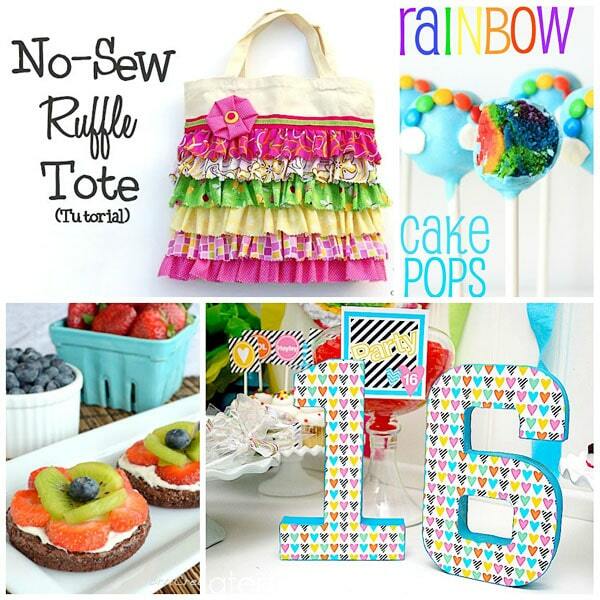 Thanks you so much for featuring my No Sew Ruffle Tote! It’s always such an honor to be featured on your wonderful site, Cheryl – thank you so much! So much goodness again…but I really want to make a ruffle tote! I’m thinking that will be a great summer craft project for our girls, considering the “no sew” part. Yay! YUM! that st. patty’s day cake looks delish!